These manually operated panel mounted Variacs are available in single and three phase models from 0.8 to 3.0 amperes. The 171, 201, 221-B and 291 units operate from 120 volt input, while the 252 unit operates from a 240 volt input. STACO’s coil tapping arrangement permits an output voltage from 0 to line voltage in either the clockwise or counterclockwise direction and from 0 to 10% above line voltage in the clockwise direction. Two and three ganged, manually operated units are available for increased single phase voltage ratings and for three phase applications. See Important Notes at the end of the page. 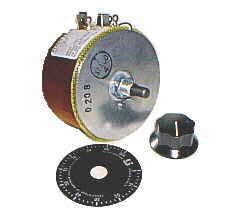 * All 100/2000 Series Variable transformers can operate to 2000 Hz without derating the specifications shown below. 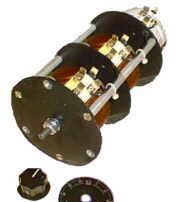 * All 100/200 Series Variable transformers can operate to 2000 Hz without derating the specifications shown above.